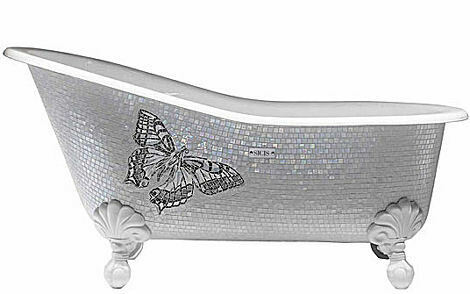 Sicis Mosaic Tiles turn an ordinary claw-foot tub into a work of art. 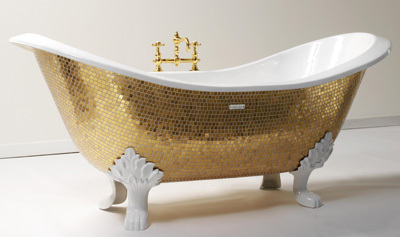 Sicis suggests that the ornate bathtub could move beyond the boundaries of the bathroom to form an installation in another area, such as the garden, living room or bedroom. I think you run the risk of making your home look like a hotel if you place your tub in your bedroom but I like this new take on a classic design.